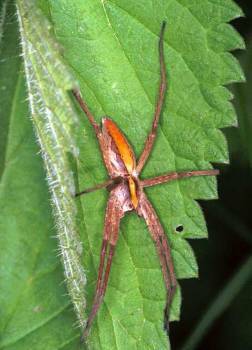 There are three species in these two genera - Pisaura and Dolomedes - living in Europe. 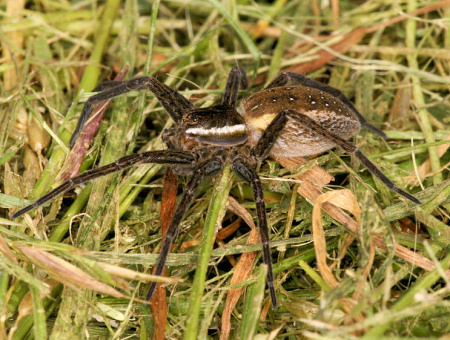 Like the water spider these spiders can also stay under water for over an hour. 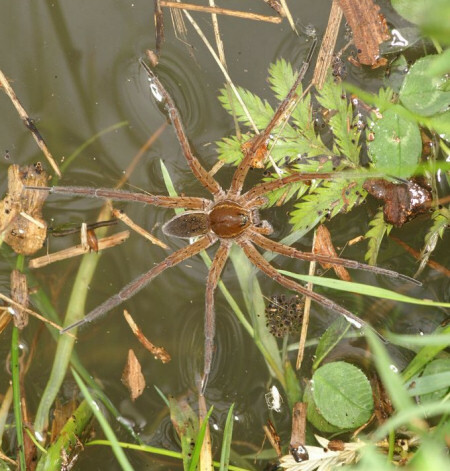 They do not hunt under water but use it as a safe place to hide. 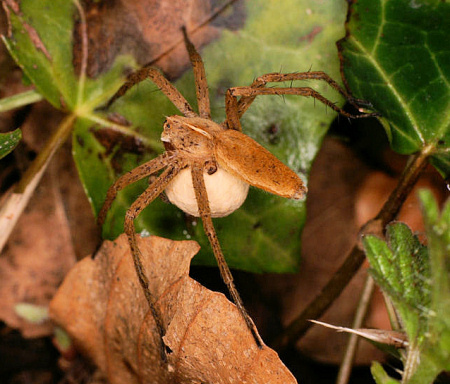 Nursery web spider carry their egg sacs with their chelicerae unlike the Lycosidae. 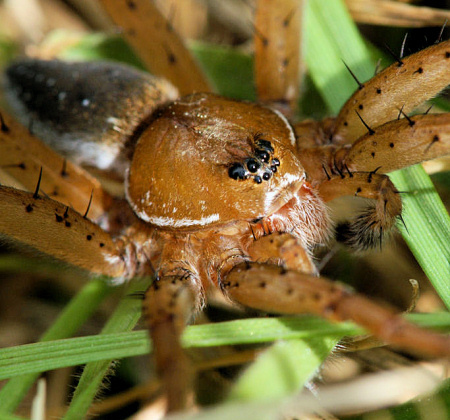 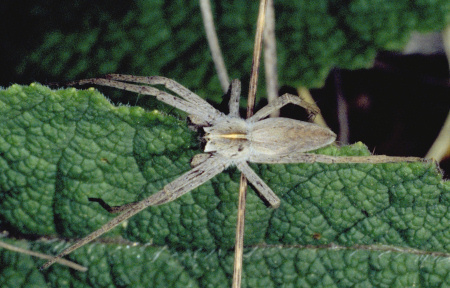 This single species can be found in all parts of Europe and is also called 'nursery web spider'. 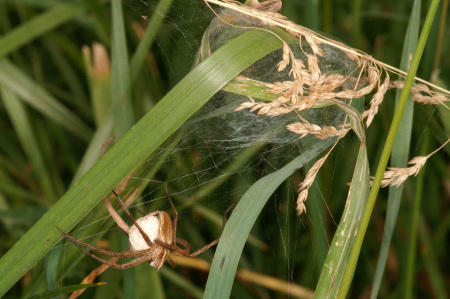 The spiders make their nests between the grass. 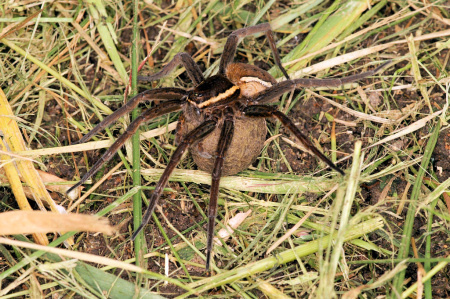 The size of the nest has a diameter of approximately 10 cm. 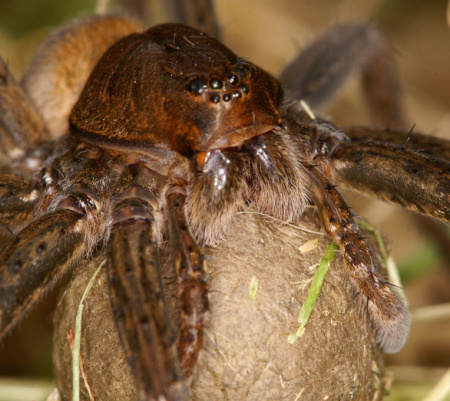 In June or July one can see the spider walking with her egg-sac and the large bundle of egg is held firmly solely by the grip of the chelicerae and the back pressure of her palps. 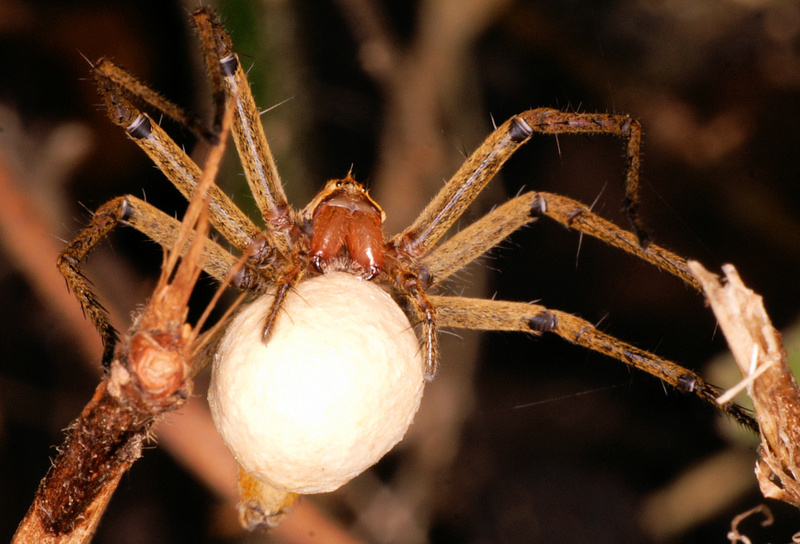 Just before the young emerge from the egg sac the mother weaves a dome-shaped tent in which their mother guards the young. 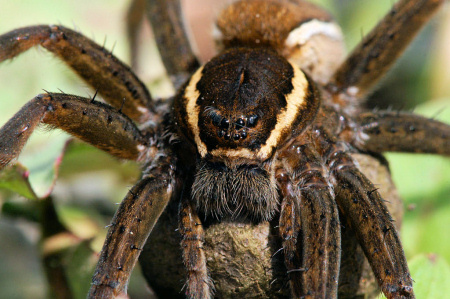 The spider can easily be recognized by the light-yellow line on top of their head and the typical light flaps beside her eyes. 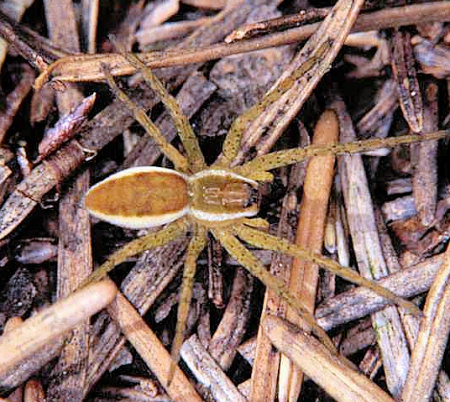 The color of Pisaura mirabilis varies between gray and brown. 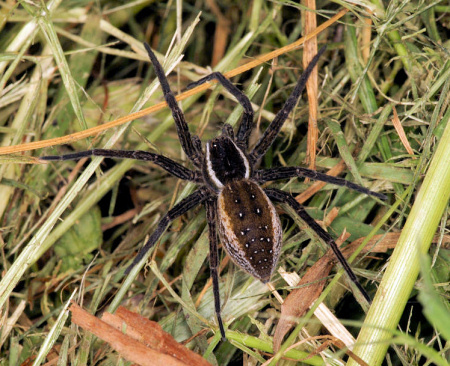 Its size is between 10 - 15 mm. 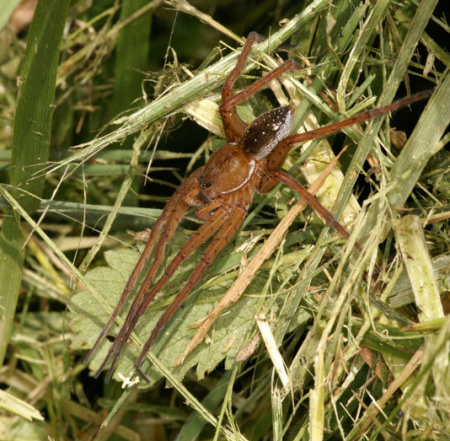 They are often seen in great abdundance in mid-summer on low vegetation. 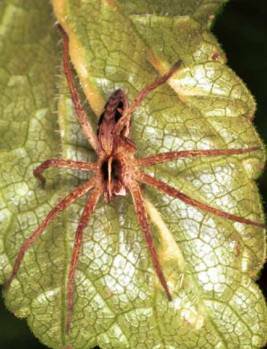 One can see a lot of varieties of Pisaura mirabilis. 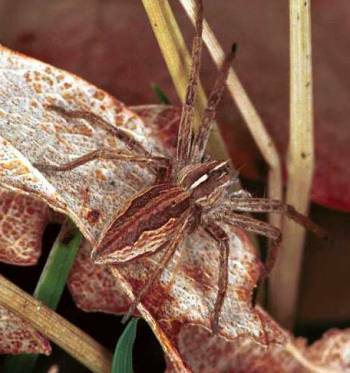 Some examples are shown below. 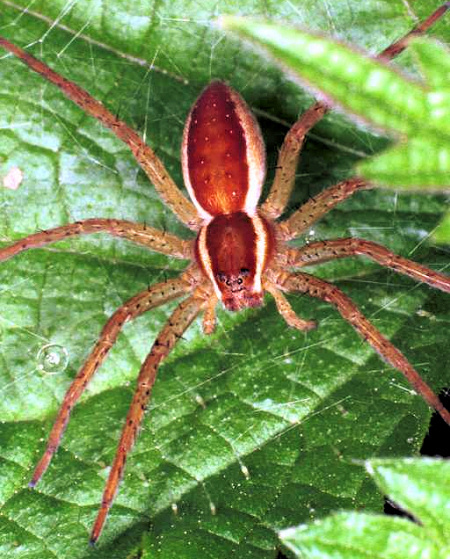 These spiders can be found near water. 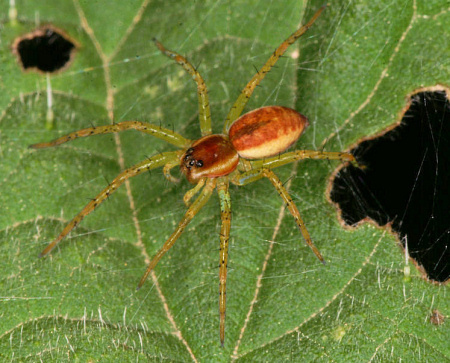 Two species can be found. 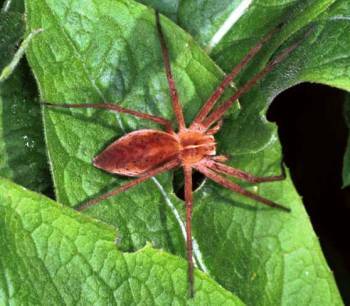 They are very large spiders and may measure up to 25 mm without legs. 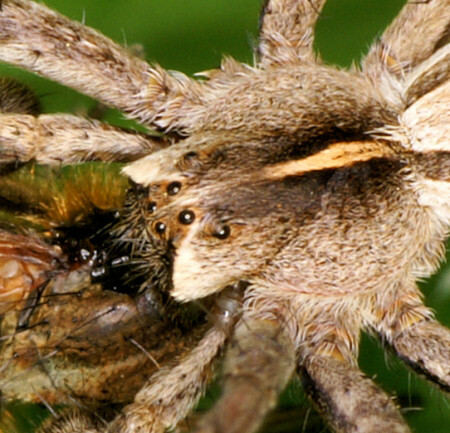 The spider catches insect, fish and salamanders. 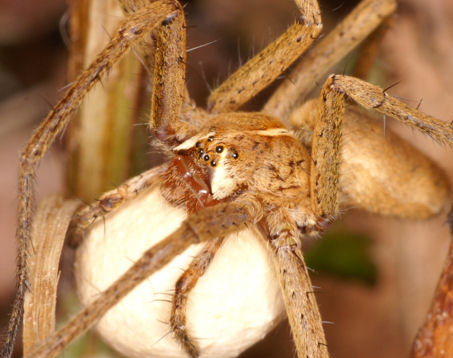 Their breeding care is exceptional. 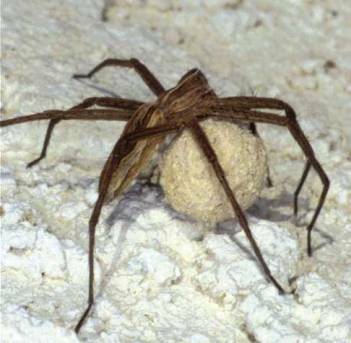 If a mother is separated from their eggs she will return to the spot even if she is carried away for 200 meters. 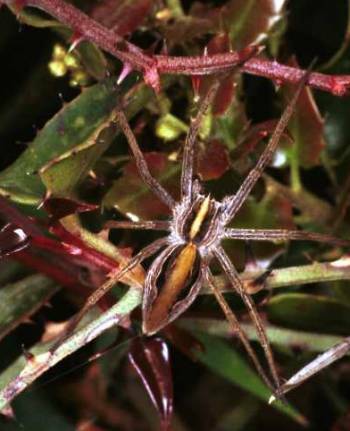 The spider sits on vegetation at he edge of pools. 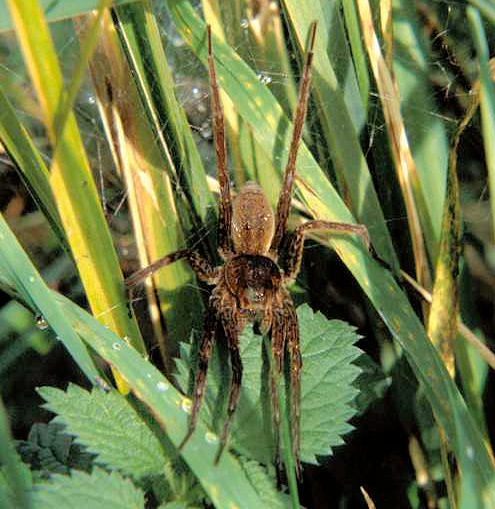 If the spider is disturbed it will flee into the water and will hide under the surface between vegetation for almost an hour. 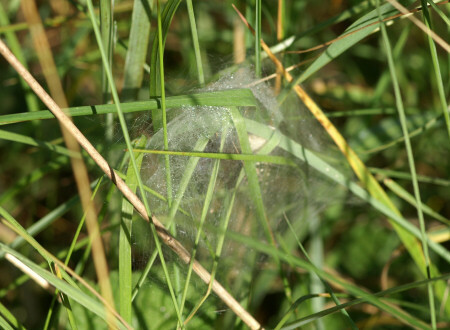 If the spiderlings emerge from their nursery tents they often exploit higher and dryer habitats and may be found in bushes and trees. 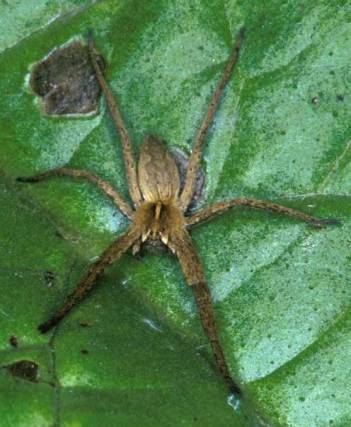 Dolomedes plantarius is very similar to Dolomedes fimbriatus but without less well-define stripes.